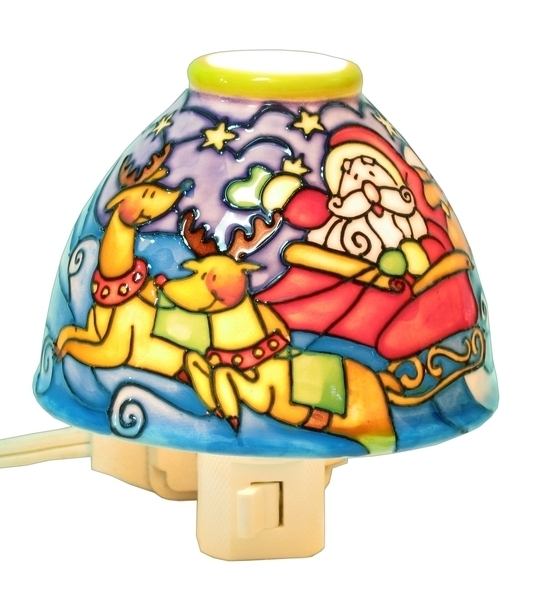 Translucent Porcelain Santa Night Light - With it's wonderful color and detail, this santa with reindeer night light is a perfect seasonal accent on any wall! Measures 4" x 3.25" x 4". Standard night light bulb included but not guaranteed. Plugs into standard 120v outlet.